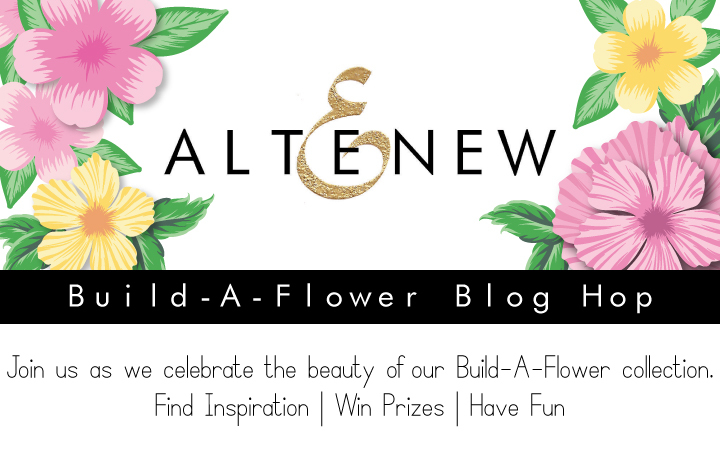 Hi and welcome to Altenew Build-A-Flfower Blog Hop! If you arrived from May Sukyong Park's blog, you are in the right place. 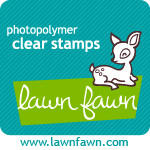 If not you can start the hop from the Altenew Card Blog! 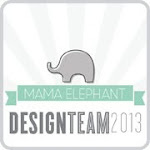 Thanks so much for letting me be part of this awesome blog hop May! I am absolutely thrilled! =) Without further ado, here is my card for the hop. I chose to play with the beautiful Coral Charm set. All the flowers and leaves are inked with Antique Linen Distress Ink on a PTI Stamper's Select White card front and colored with Copic markers using the no-line coloring technique. Since the flowers speak for themselves, I decided to keep this very simple. This is definitely a mail-friendly one layer card. 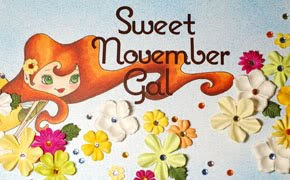 =) The sentiment is included in the Build-A-Flower Coral Charm set. Now that's out of the way, here is the part that you (probably) are mostly here for! =) The GIVEAWAYS! Giveaway 1: Altenew is giving away a $30 gift certificate to SIX lucky winners! 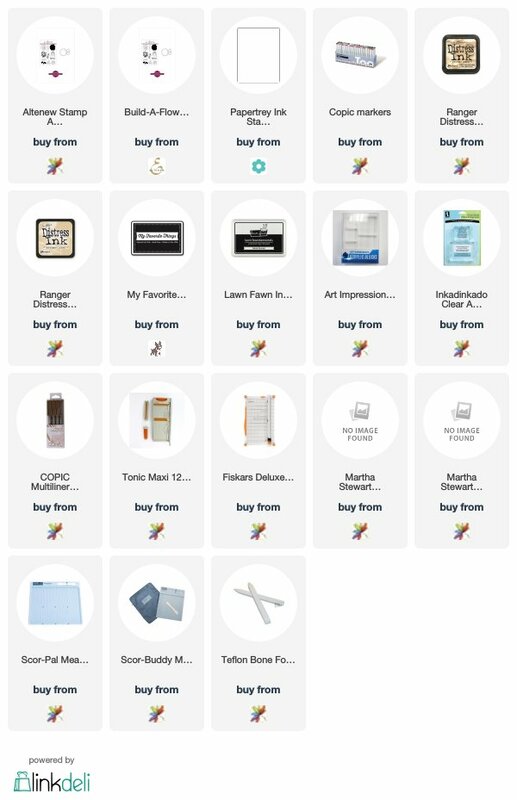 Please leave a comment on the Altenew Card Blog and/or the Altenew Scrapbook Blog by Friday, March 2nd for a chance to win. Six winners will be announced on the Altenew blogs on 3/4/2018. 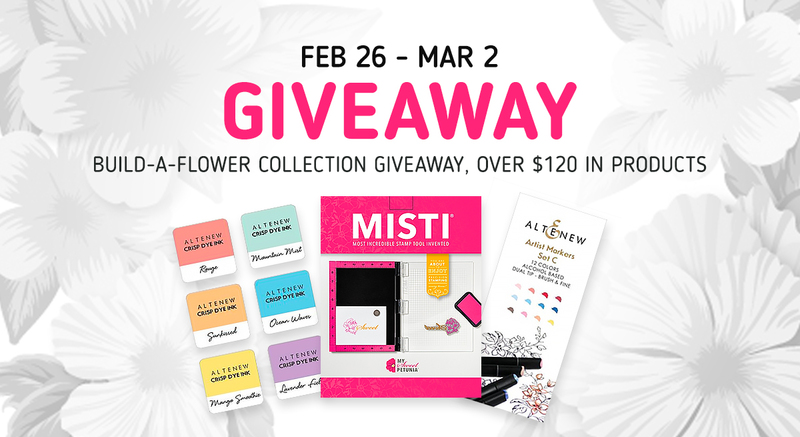 Giveaway 2: Place an order from the Build-A-Flower Collection from 2/26/2018 until 3/2/2018, and you will automatically be entered into a raffle for a chance to win a big prize! 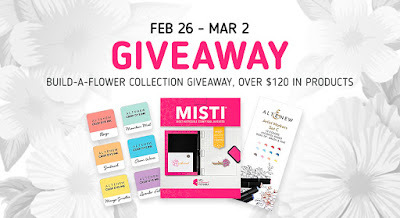 ONE lucky winner will be chosen to win a prize pack valued at over $120 including one Original MISTI stamping tool, Artist Markers Set C, and Soft Pastel 6 Mini Cube Set. No minimum purchase needed! A winner will be announced on March 4th on the Altenew Blogs. Have a gorgeous day and thanks for stopping by! Love your coloring! Great job. Love the card you created - simple but powerful!!!! Beautiful coloring...thanks for lovely inspirations!! Very beautiful card. The coloring is fantastic. A Beautiful card! I LOVE how bright and vibrant the colors are! Beautiful coloring! You just proved again that sometimes simple is simply perfect! Thank you. So pretty. So much beautiful depth of color in your flower. I like to see that you’re not afraid of leaving white space. Love your no-line colouring, Alice! It’s a really, really beautiful card! Fantastic no-line coloring and great card design. I love the versatility of these sets. Inks, markers, water colors, whatever you choose! Your flowers are beautiful. Very beautiful and one of my two favorite stamps and cards! So very very pretty! Such rich colours that really stand out on that card! You are the Queen of No-line coloring, that's for sure. Beautiful cards. And for the record, I'm not here specifically for the give-aways, rather I just love seeing everyone's creations! So, thank you. Lovely card! I love that it's one layer for easy mailing! Beautiful flowers and colors! What an amazing card. Thanks for sharing. I'm in awe of your copic coloring skills. This is a stunning card with the big bloom and the groupings of the smaller flowers. Love it! so lovely Alice - wonderful white space for your beautiful coloring! Your card is stunning!! The flower looks amazing!! I love the colors!! This is gorgeous! Love the design and the colors! So gorgeous, love how you featured these beautiful flowers. Thanks for sharing! I know I don’t have to leave a comment to enter but just wanted to say how much I really liked your card. The flower is beautifully colored and I especially love your use of white space. It makes such an impact. 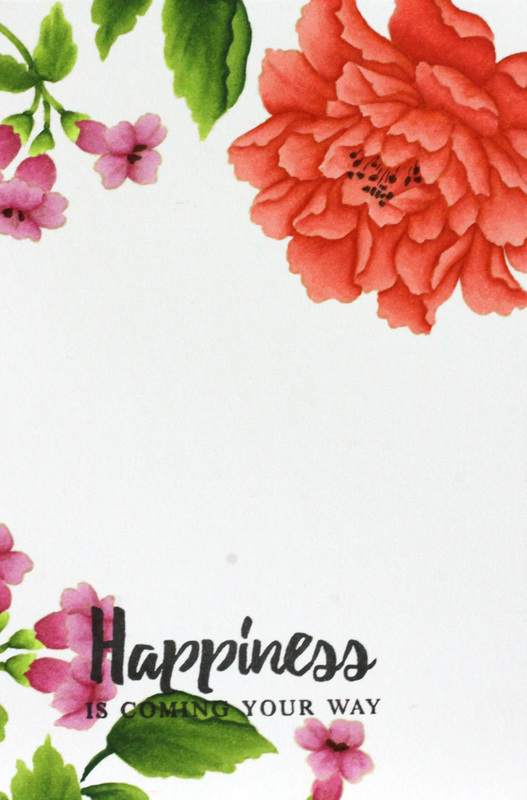 I love how you layed out the flowers on your card. It's beautiful and your no line coloring is gorgeous! Love the colors you used for your flowers. Your cards are beautiful. Stunning card! Amazing coloring and I love that you kept the flowers the star of the show. Absolutely gorgeous, Alice. You are my no-line Copic coloring hero! So sweet! Love the blooms! So pretty without the lines! Lovely color! Your card is just beautiful!!,! 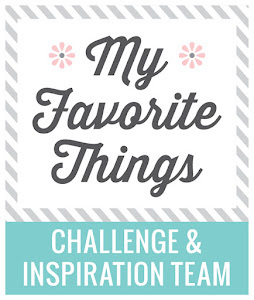 Love this blog hop. Gorgeous card - love the clean, crisp look and the vibrant colors. Love the colors you used and how they pop against that white background. Gorgeous! The Coral Charm set is beautiful and your card is stunning. I love the colors you chose. I love your card! 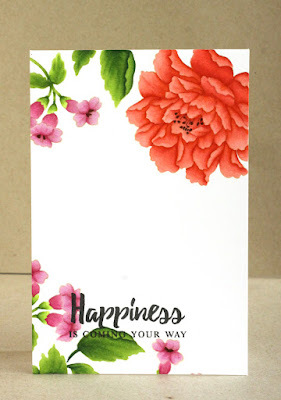 I just ordered that same flower stamp set and I'm anxious to start using it! Thank you for sharing your beautiful creation! Your card is stunning. I love the layout and those awesome flowers and leaves. Stunning colors. I love this card. 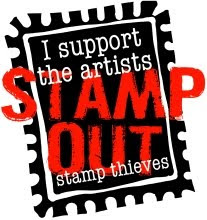 I liked the positioning of your stamps and the white space it left for a clean effective design. Beautiful--I like the no line coloring. Wow your card is beautiful. You're right, the flowers do speak for themselves, but it really helps to have amazing coloring like you did! I like the contrast of the peachy reds with the pinks of the other flowers. 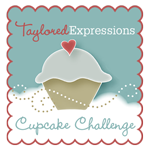 Thank you for sharing and participating in this bloghop! Amazing no line coloring on your beautiful OLC! Your card is so beautiful! I love the coloring you did on your flowers! Simply beautiful! And you said it so well...The flowers speak for themselves! They need nothing for a beautiful card to be created. Your no line colouring is gorgeous!! Awesome card.... I loved the way you have stamped in corners!!! 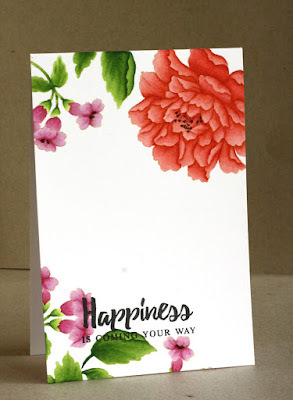 What beautiful happy card, love your flower colours and grouping. Pretty card. So very elegant! You said it right. The flowers speak for themselves but you did an amazing job being the voice :) this flower set Has become one of my favorites. I love the simplicity of this card! It really allows the flowers to shine on their own! TFS! Your card is an inspiration. Love the colors and the design. I like the smaller flowers along with the larger. Your coloring puts me to shame. This is just stunning! 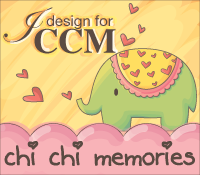 Love your card it is peaceful to me and your coloring is great too. love the stamp set so much detail.